Some people from the n.s.p.c.c. Came into speak to us about childline. They brought us their mascot called Buddy, who is a speech mark. They told us what childline is and how to use it if we are ever worried about anything and can’t speak to an adult at home or at school. Their number is 0800 1111 and will not appear on a phone bill. We played our first league matches of the year. We took some year 5 and 6 boys to represent the school. We played 3 times and started well with a 0-0 draw. Unfortunately we lost the second game 2-0 but managed to learn from our mistakes for our last match and won 2-1 after coming back after they scored the first goal of the game. We play again in a couple of weeks so we should do just as well, if not better after some more training. Our years 5 and 6 children have been asked to apply for jobs in school as playground leaders. 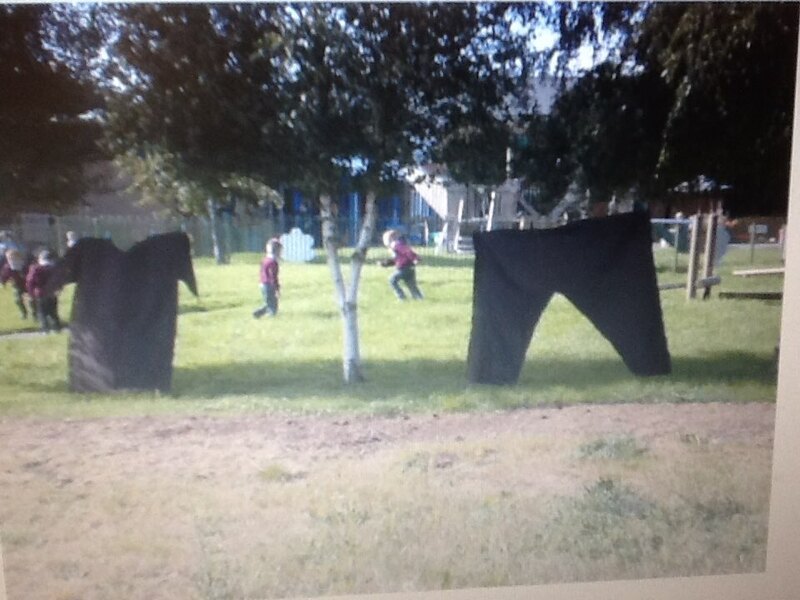 Playground leaders help the younger children play fun games on the yard at break and lunch times. Watch out for pictures of us playing bowling, bean bag toss, lots of races and much, much more. Our focus for this term is never giving up and working hard to achieve our dreams. We had a surprise visit from Liverpool born mma fighter Paddy Pimblett. 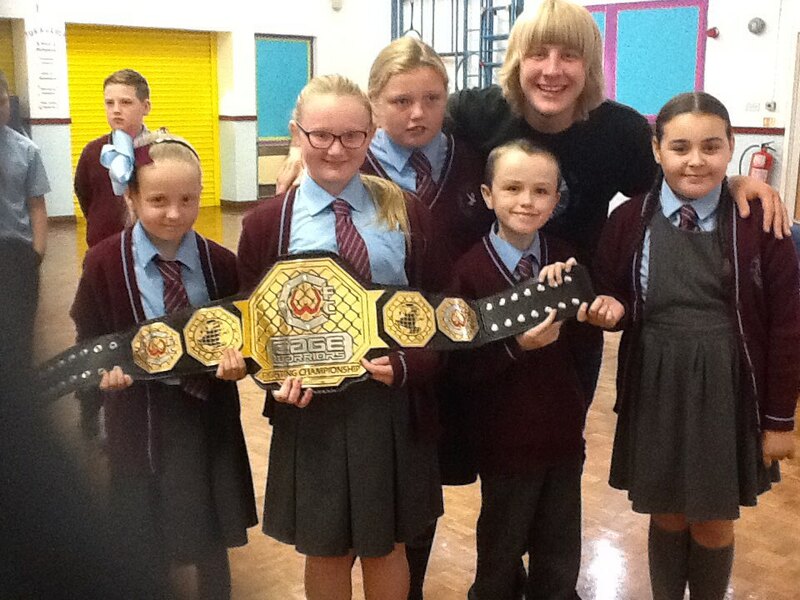 He spoke to years 5 and 6 about how hard he had to work to earn his championship belt. He told us how a teacher had once told him to give up on his dreams and that he would never amount to anything, well look at him now! He read to us and we were able to ask him questions, what an inspiration. We were allowed to dress up in school for Roald Dahl day. We also were allowed to choose a movie to watch in the afternoon. 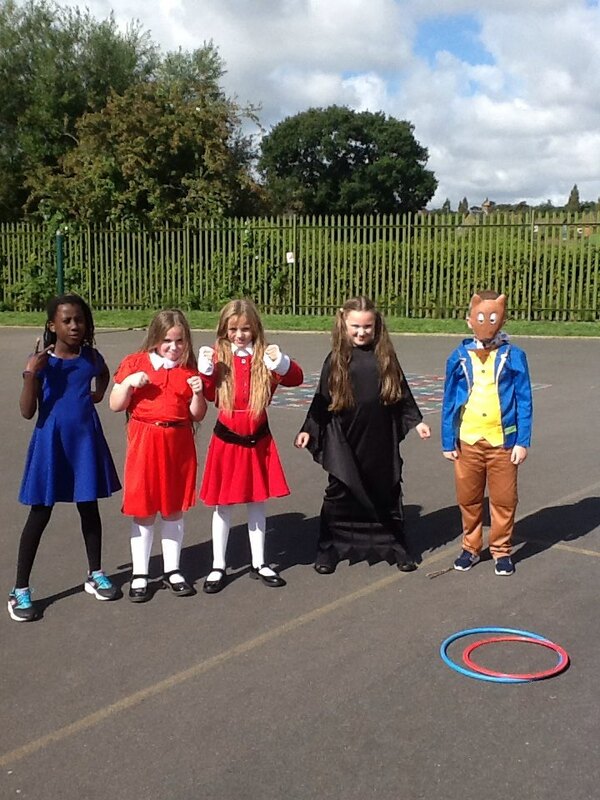 Here is fantastic Mr.Fox, a witch, a couple of Veruca Salts and a Violet Beauregarde. On our first day back at school we discovered that the B.F.G had been to school last night and left behind some interesting things such as his pyjamas, a dream catcher, a suitcase full of bottled dreams and lots of footprints. We called the police and they came into school and investigated too! Meet our new school council. Their blog will show us all the wonderful things we have done in school, what is coming up as well as the things you ask us to do. 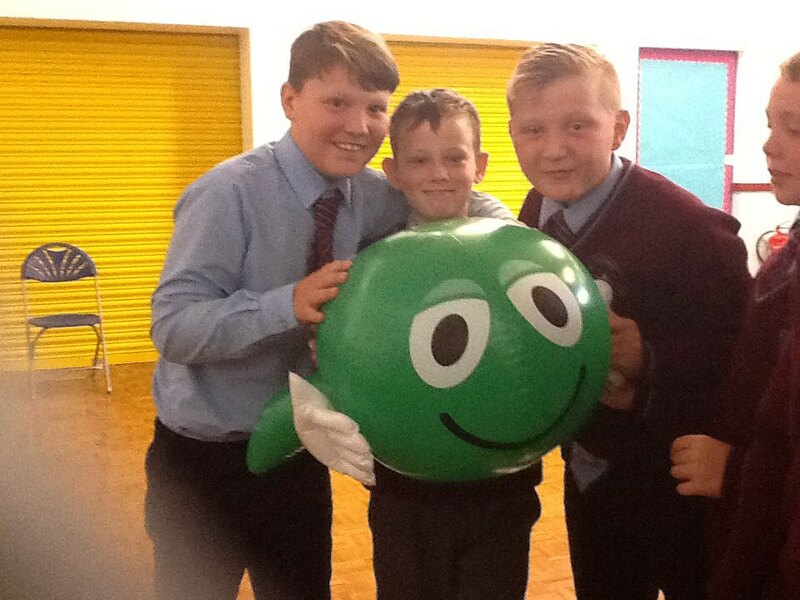 Don’t forget to speak to your class councillor if you have any questions or think of things that would make our school even better.